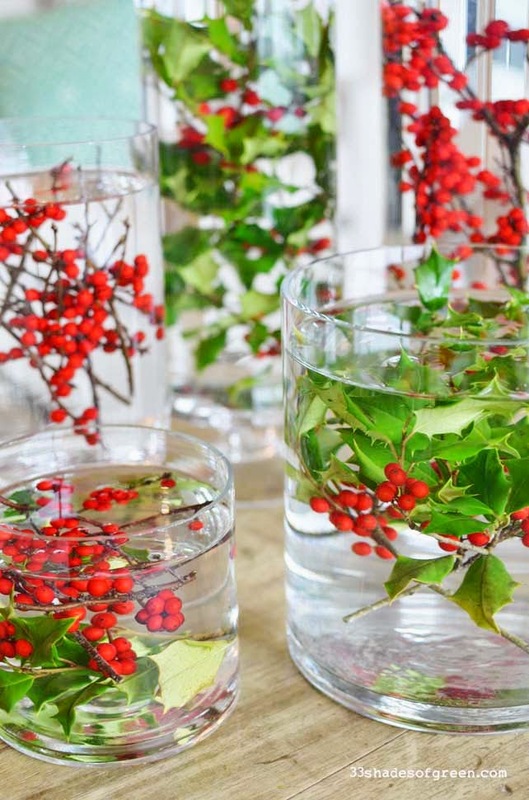 I am feeling extra festive and ready to decorate for the Holidays this year. It may have something to do with the snow and cold weather that we've already had. It's felt more like January than November for the last couple of weeks. I also didn't decorate at all last year since we moved into the new house a few days before Christmas. I'll be getting my Christmas tree next weekend and can't wait to pull out all of my ornaments and other decorations. 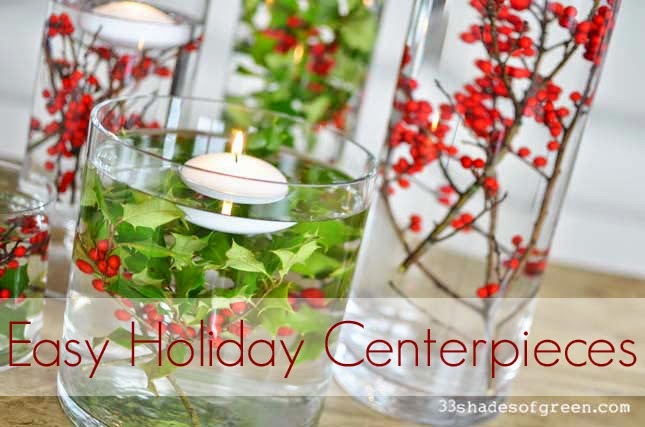 A few years ago, I posted this Holiday Centerpiece idea. It is one of the most pinned posts from my blog. I thought I'd put together an updated version (with much better photos!). 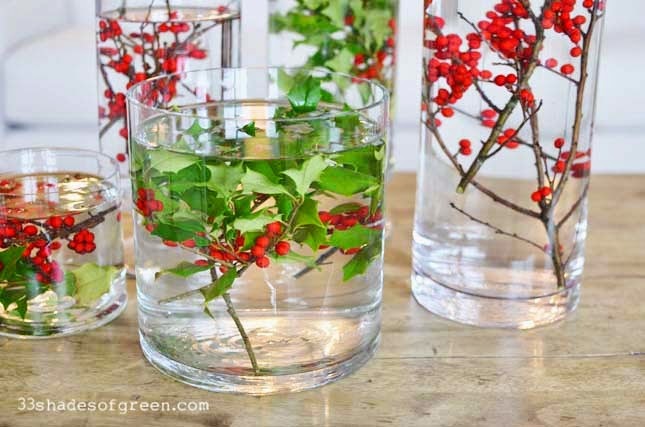 This idea is so simple to put together and inexpensive too. 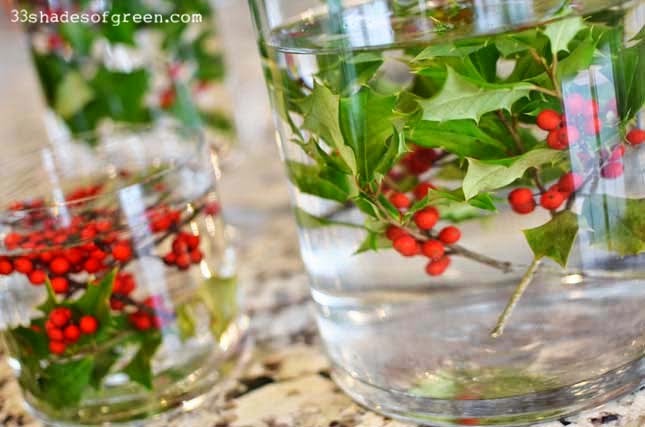 American Holly will dry out quite quickly, so put branches in a vase of water if you are not using immediately. 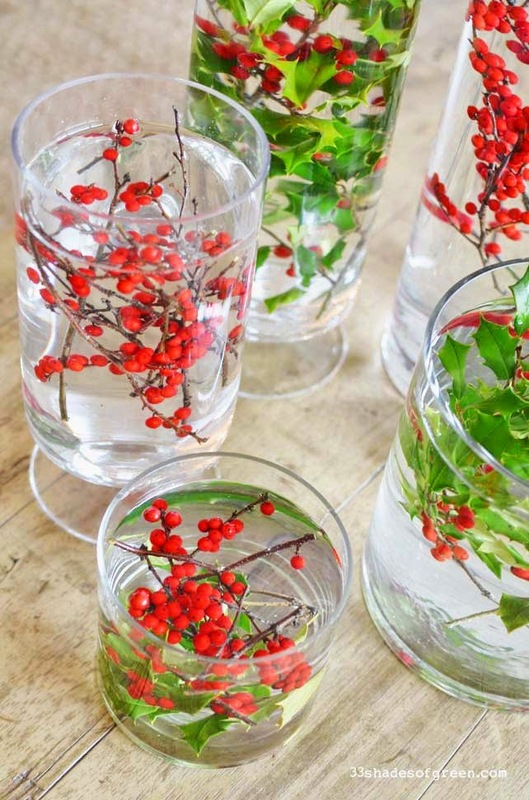 Arrange branches in vases. 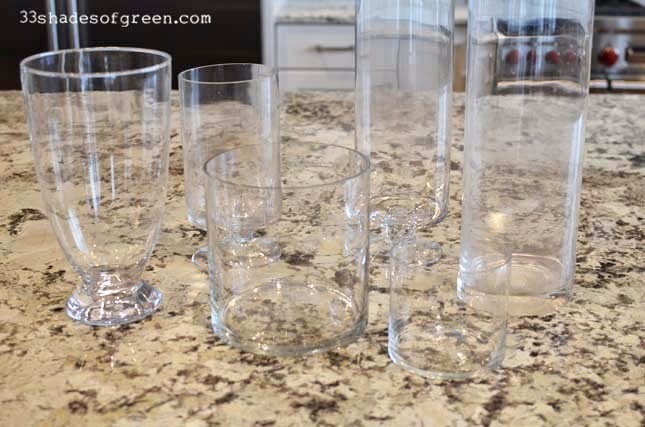 No need to be too careful here - just push them in until you have a good amount in each vase. 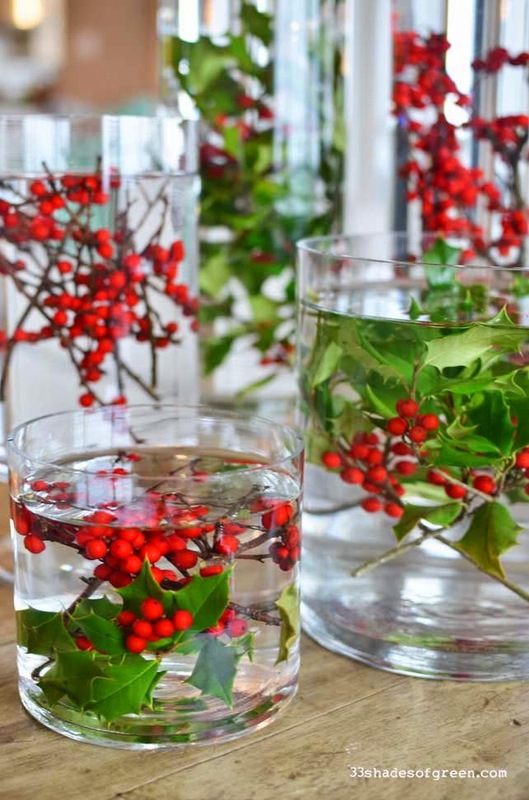 Add water to each vase until branches are completely submerged. 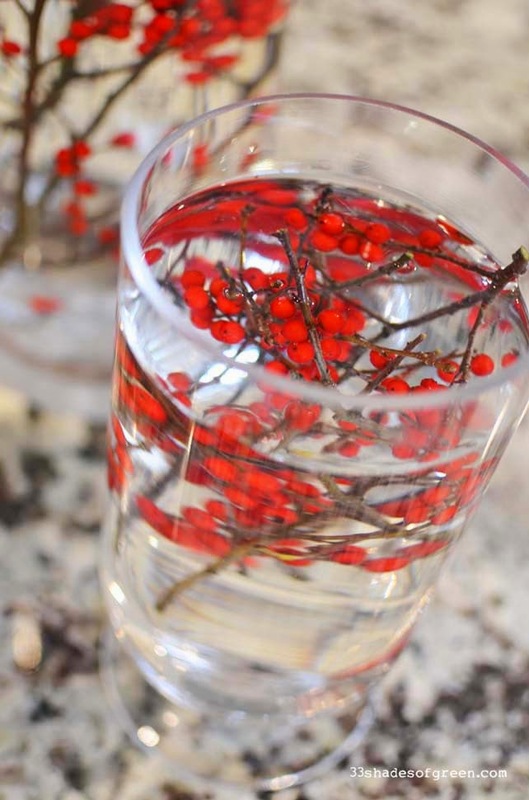 Once you add the water, the colors of the berries and leaves become more vibrant and beautiful. So pretty! I was going to add the floating candles right away, but I think the vases looks so pretty even without the candles. I took a few more pictures than I was planning on! 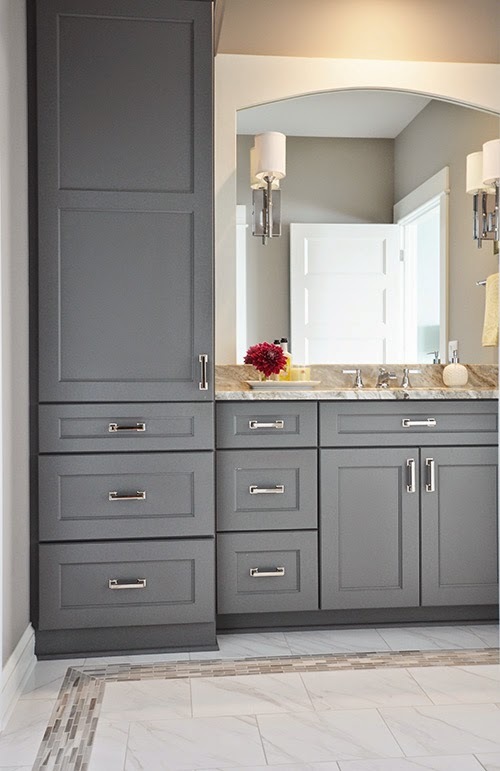 Just think of all the places you could use these. 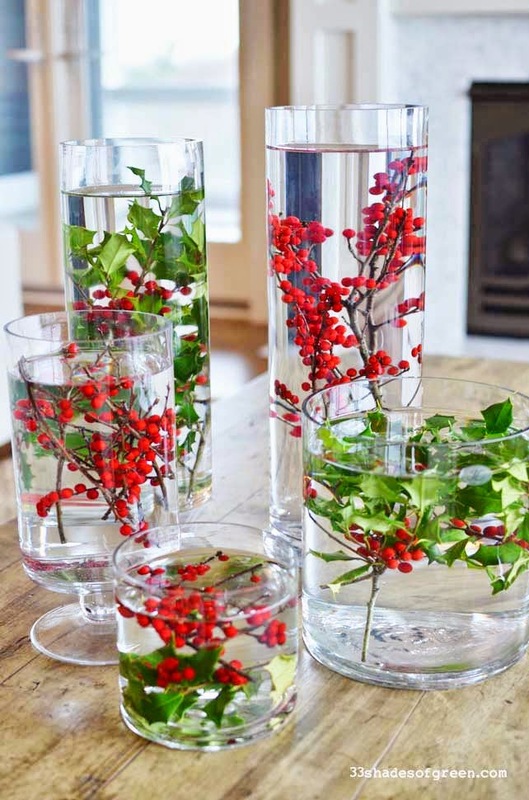 On a dining room table as traditional centerpieces, on a buffet table, a sofa table, a coffee table, and maybe even a single one in your powder room if you are having a party. Aren't they festive? I just love how they look. Have a wonderful week and a great Thanksgiving! How long do they last submerged? I love the vibrancy and simplicity of them. Hi Denise - They will last for several days, maybe up to a week, without any problems. So far, mine are 5 days old and they looks just as good as the day I made them! This is such a beautiful idea, Alissa! 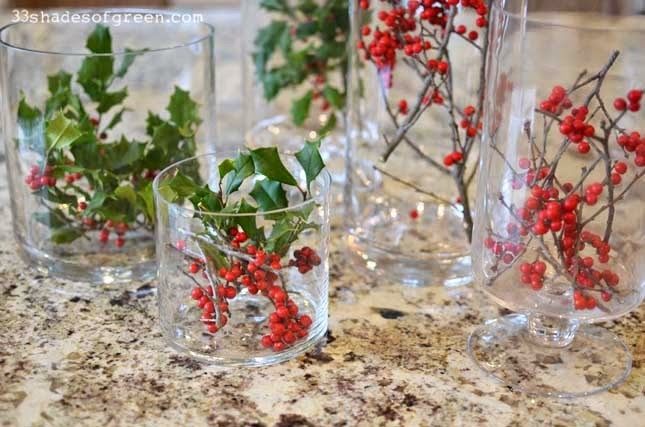 So inexpensive to pull together if using glass containers you already have and greenery from your yard. I love the floating candles too. Such gorgeous centerpiece and your pictures are amazing. Hermosas y sencillez en la realización!! 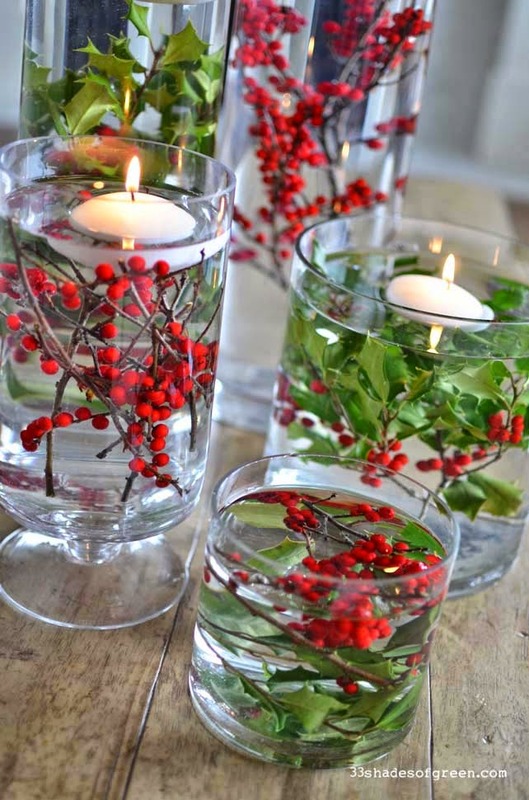 Ekl acebo dentro del agua y con las velas quedan muy lindo!! 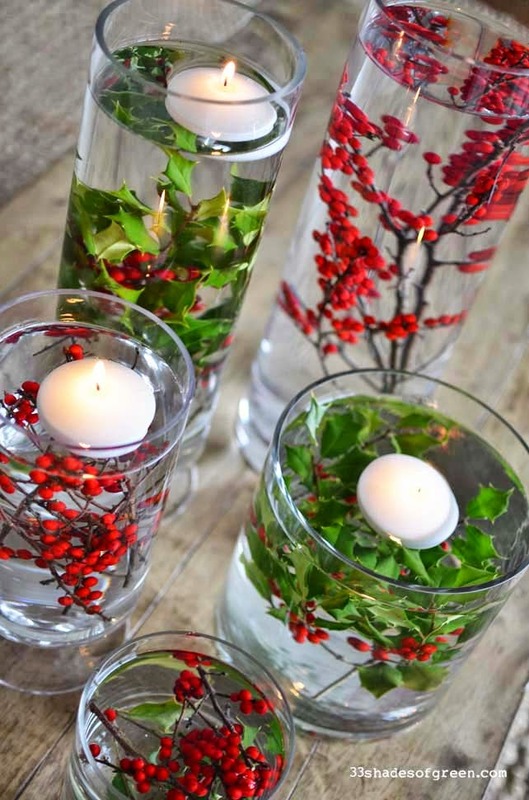 Floating candles always add a touch of magic to the table decor. I love having them in containers on the table or a console. 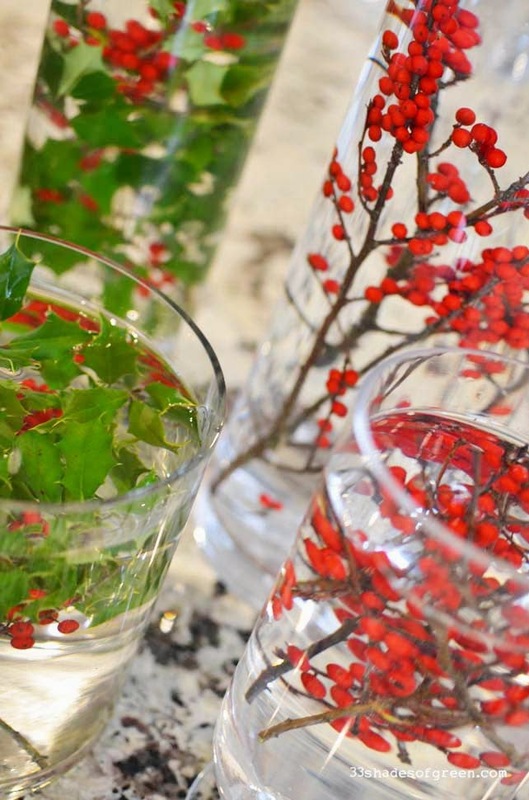 They look especially festive with other pieces inside of the glass container. 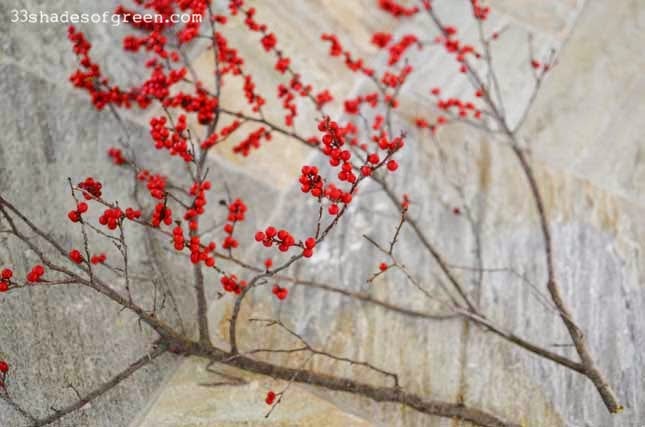 Very pretty, I like the addition of nature. 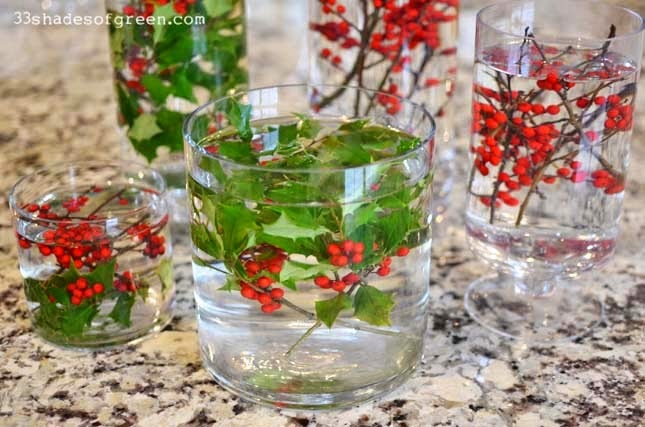 Alissa, I have never submerged anything besides cranberries, and am DEFINITELY using your fab idea this year! 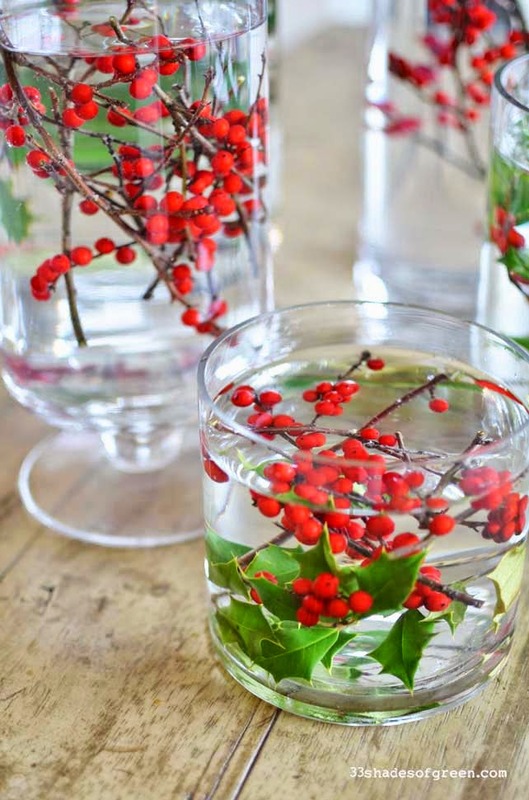 How pretty the holly leaves and berries look!! 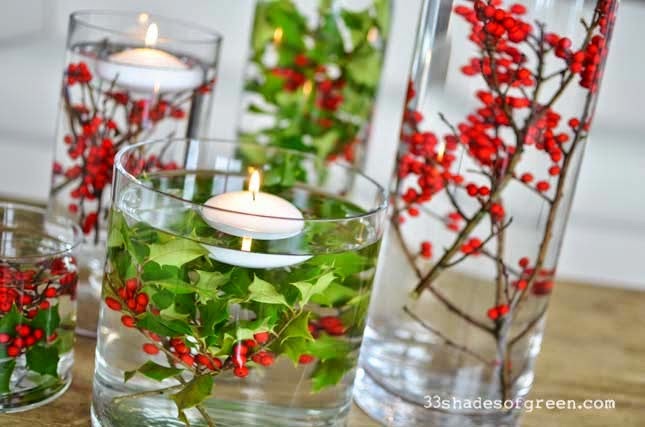 I love the containers grouped together, with and without the candles!! Thanks so much for sharing, you always inspire me! Love this idea Alissa! Looks fantastic! So pretty! Great photos too. I love this idea Alissa and your photography is amazing! 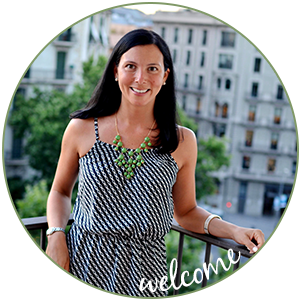 So glad that I discovered your blog through Best of the Nest! Perfect! thanks for sharing this! 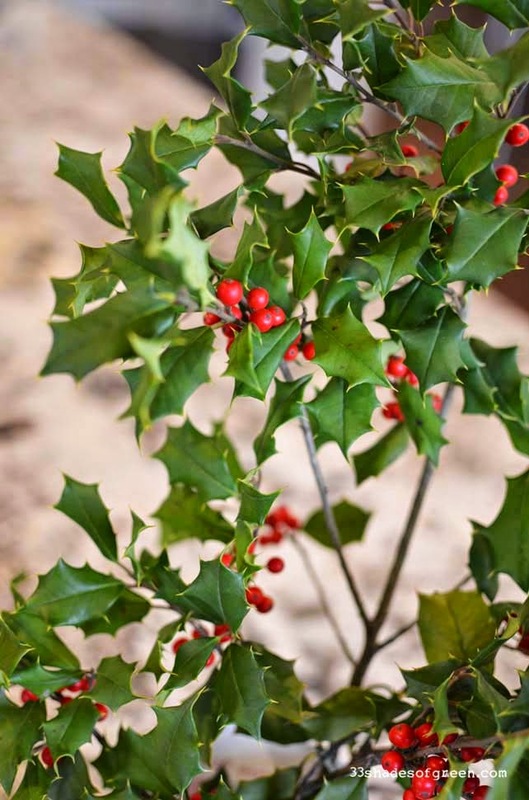 I purchased the holly from my local farmers market. Florists will also probably have it during the holidays. 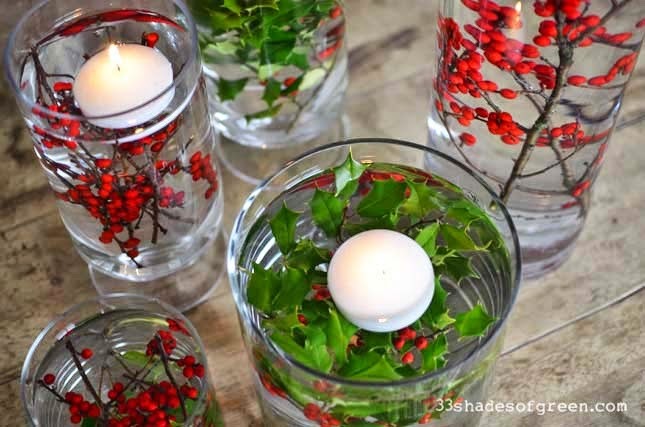 Hi Alissa, I love the centerpieces and I plan on making them this Christmas. 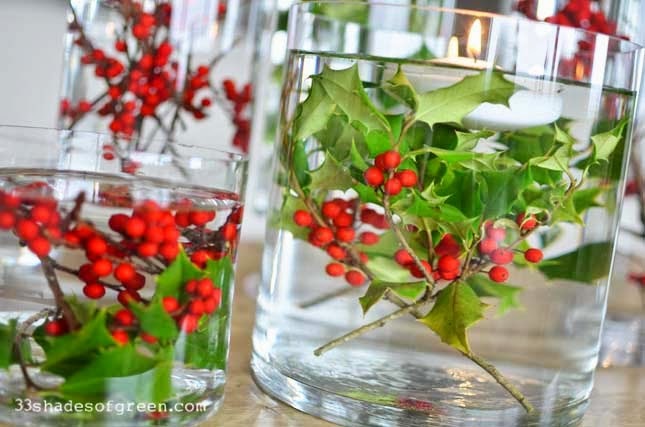 I was wondering can you use fake holly for the centerpieces? 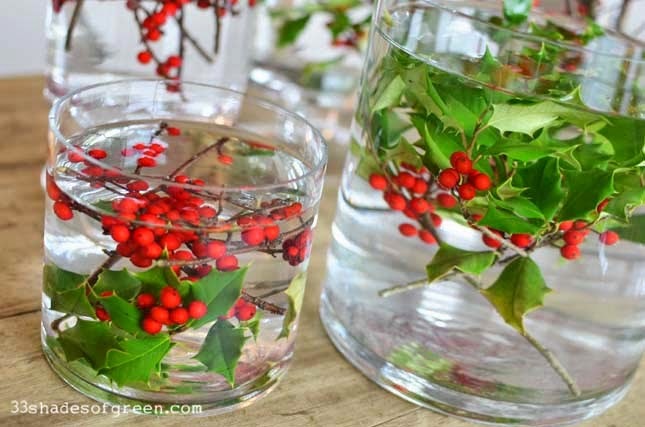 I want to have a backup plan just in case I can't find any fresh holly. 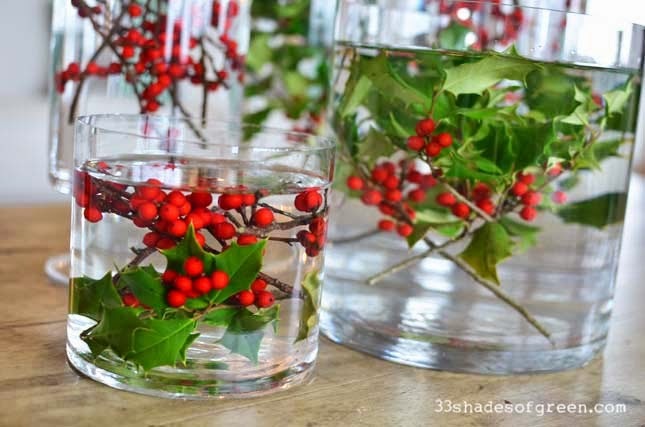 Hi Shawna - I haven't tried the centerpieces with fake holly, but I bet it would work! You might want to buy one piece and test it in the water to see how it looks. Good luck - thanks for stopping by!